ADDIS ABABA, Ethiopia — Woldemeskel Kostre, the Ethiopian distance running coach who trained greats like Haile Gebrselassie and Kenenisa Bekele and was renowned for his strict disciplinarian approach, has died. He was 69. The IAAF said Kostre died early Monday in Addis Ababa. The cause of death was not announced. Kostre won the IAAF’s coach of the year award in 2006. He was part of Ethiopia’s distance-running program for more than 35 years, starting as an assistant coach at the 1972 Munich Olympics and working with Ethiopia’s best athletes up until the 2008 Games in Beijing. 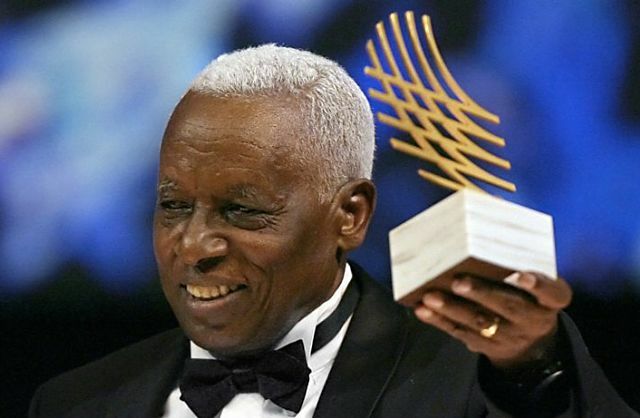 He was head coach of the team for 25 years, presiding over Ethiopia’s golden era. Bekele and Tirunesh Dibaba, another Olympic champion and world-record holder, were also among Kostre’s prodigies. A promising runner in his own right, Kostre had the chance to represent Ethiopia at the 1964 Olympics, but chose instead to take a scholarship to study in Hungary because the Ethiopian federation wouldn’t allow him to do both. Following his studies, he returned home to become the architect of the nation’s success in middle and long distance running. He had a reputation as a coach who was extremely tough, demanding complete discipline, but was also fair.